Best Western Plus Spartanburg est idéalement situé dans le centre de Spartanburg. Venez découvrir et profiter de notre hôtel à côté des principaux sites touristiques. Réservation au meilleur prix et offres exclusives toute l'année. 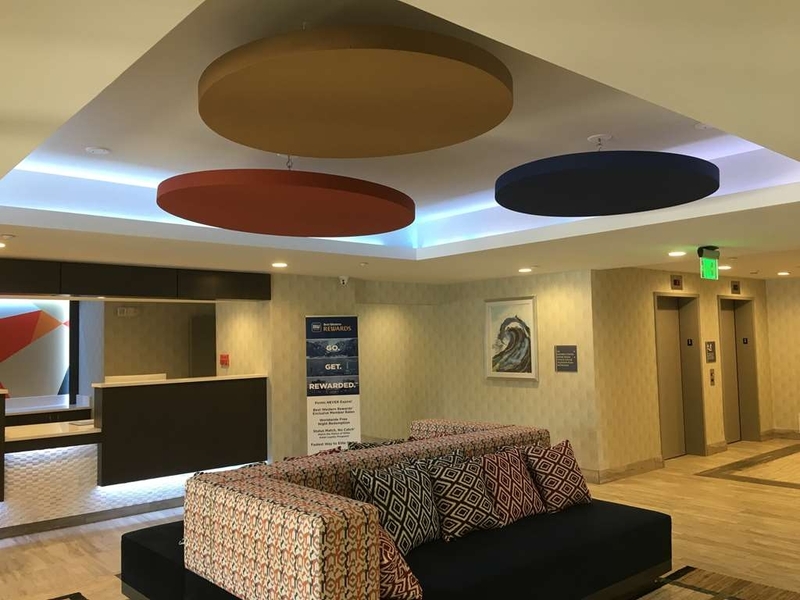 Bienvenue au Best Western Plus Spartanburg, en Caroline du Sud. Il est idéalement situé à la sortie 75 de l'I-85, au pied des magnifiques montagnes Blue Ridge. Notre climat doux, avec ses quatre saisons distinctes, vous permet de profiter du grand air tout au long de l'année. Notre hôtel se trouve à proximité de plusieurs universités, notamment le Sherman College of Chiropractic, l'université de Caroline du Sud Upstate, le Wofford College, VCOM, le Spartanburg Community College et le Spartanburg Methodist College. 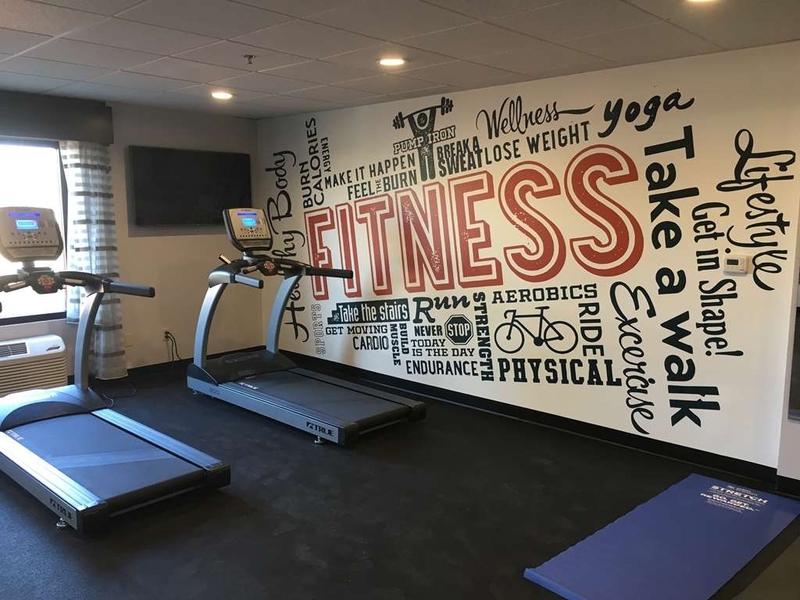 Notre hôtel de Spartanburg offre un accès pratique aux splendides espaces verts de Cleveland Park, Hatcher Garden, Woodland Preserve et Tyger River Park, tous à proximité. De l'hôtel, les voyageurs d'affaires rejoindront facilement nombre de sièges d'entreprises de Spartanburg. Les nombreux restaurants se trouvent tous à moins d'un kilomètre et demi de l'hôtel. 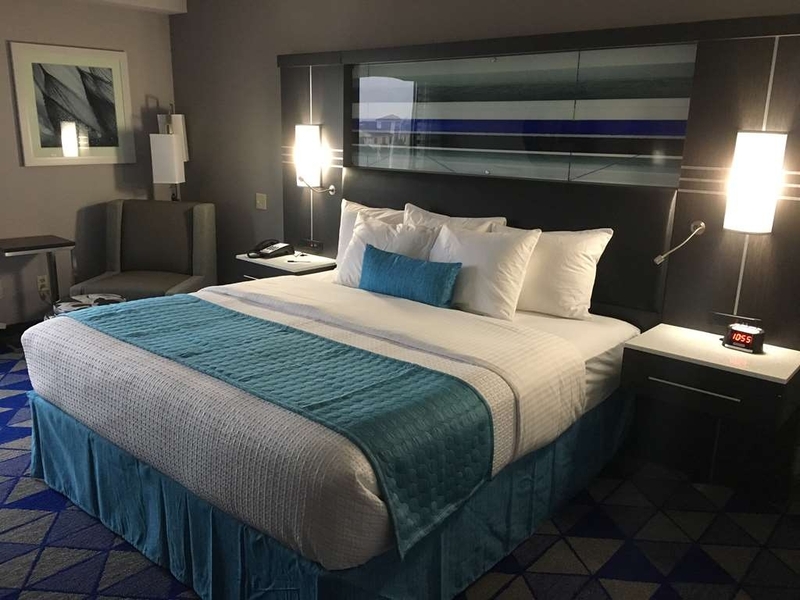 Le Best Western Plus Spartanburg vous propose une bonne nuit de sommeil dans ses chambres confortables et non fumeur, ainsi qu'un personnel de réception à votre service 24 heures sur 24. Au matin, commencez votre journée avec un savoureux petit déjeuner chaud complet gratuit, avec des mets sucrés ou plus diététiques. Les voyageurs d'affaires apprécieront également notre centre d'affaires, l'accès Wi-Fi gratuit et notre salle de réunion. Gardez la forme grâce à notre grande aire d'entraînement ou détendez-vous dans notre piscine extérieure saisonnière. Profitez d'un bon repos dans nos spacieuses chambres équipées d'un accès à Internet haut débit gratuit, d'une télévision câblée, d'un sèche-cheveux, d'une radio, d'une cafetière, d'un fer et d'une planche à repasser, d'un bureau avec lampe, des appels locaux gratuits, et d'un service de réveil. Vos petits animaux de compagnie sontles bienvenus moyennant un supplément par nuit, veuillez appeler à l'avance pour plus d'informations. 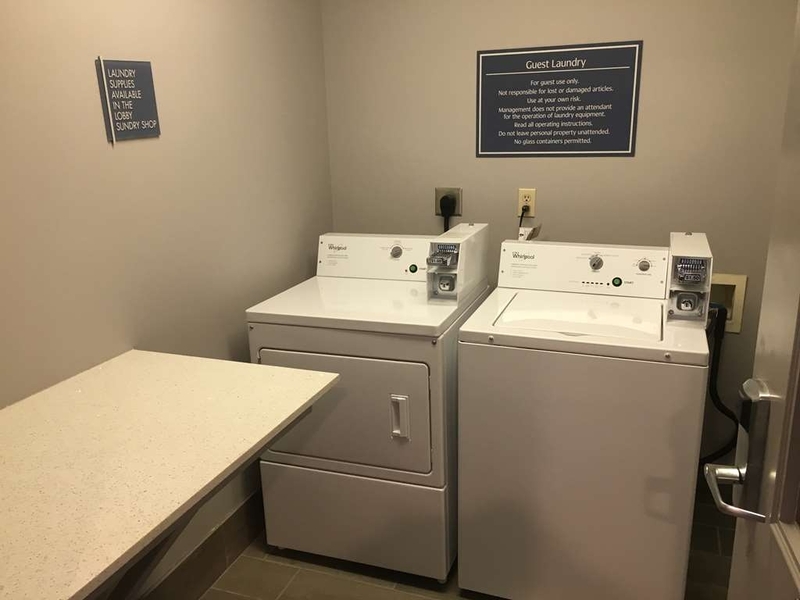 Au Best Western Plus Spartanburg, nous prenons soin de tout dès votre arrivée et jusqu'à votre chambre. "Quick Stop when Driving Through"
We found this hotel as we were passing through Asheville, NC but using TripAdvisor. First off, from I-40, it was not the easiest hotel to find. When we got off our exit, we had to drive about a mile but the exit we needed was closed due to road work. We had to do a very convoluted trip that involved what felt like turnarounds and loops but we didn't give up and finally found the hotel. I had called about 30 minutes before we arrived and was told there were plenty of rooms (we needed 2). When we arrived, there were only 4 left according to the front desk clerk. I suppose it was a good thing we arrived when we did. The hotel was very clean and the beds were comfortable. The parking lot was very well lit. We didn't take time to explore the area the next day in the light of day but it seemed like an unusual place to have a nicer hotel. There must be more around it that we didn't see. I didn't go down to breakfast the next morning but my husband was pleasantly surprised with what was available and he said it was a very good free hot breakfast. It was a quiet stay too. The room across from my parent's was a little loud when we first checked in about 10:30pm but they must have quieted because my parents didn't complain the next day. I would recommend this hotel. This was a great place to stay! 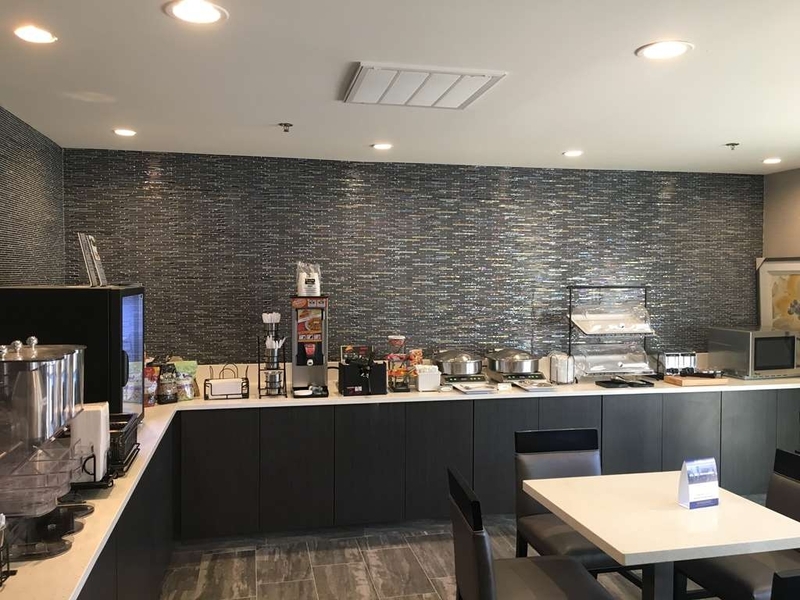 The mattress was very comfortable, the bathroom decor was very luxurious and the breakfast was tasty and offered a great variety of options including hot waffles, eggs, potatoes, sausage links, fresh fruits, oatmeal, a variety of breads and bagels, juices and hot coffee! The heat and ac system was terrible. The place looked great but the bulk of the time I was there I did not get my wake up calls, the breakfast person didn't keep things stocked as she should have. Whoever handles their maintenance should be fired because I constantly had the heater in my room turn to air conditioning to where I had to move to not bei near the unit or had to shut it off. Thank you for taking the time to provide some feedback and I'm sorry you did not experience such a great stay as most. We'll continue to train and provide the best services possible to our guests in the future and address the items on this list. We stopped through here to rest our heads as we were driving to Atlanta! From the moment you pull into the parking lot you already feel a peaceful atmosphere! The lobby, hall, elevator and rooms smelled so fresh and clean. The breakfast was very well stocked and my kids loved the waffle and potatoes. This place exceeded my expectations of a Best Western! Great job guys! Greetings and thank you so much for taking the time to leave a review and we're so pleased you enjoyed your stay! We worked very hard making our hotel an icon for Spartanburg and I'm glad you enjoyed all the extra breakfast amenities we've provided! We hope you visit again soon! "Great Stay. Better than expected"
We stayed one night. Property was better than expected. Very modern. Super clean. Very comfortable. It was better than I anticipated. 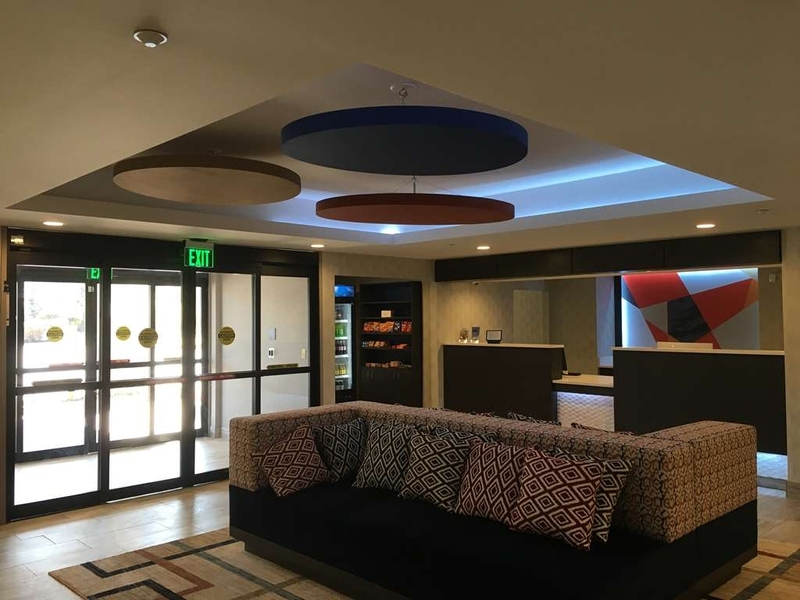 Not to knock a regular Best Western, but the plus is a big upgrade. Greetings!! Thank you so much for your response! I'm hoping the rating of a "1" was in error as that is the worst score. Wonder if you could bump that on up to a "5" since the review was so great! Regardless, thank you for the compliments and I'm glad you enjoyed your stay with us! very clean and nice. Fairly new place. Quiet. Breakfast is full hot, yet they don't like to refill what they are out of. Rooms clean, staff nice. road work going on which made it a bit harder to get to. My reservation was a bit messed up but was taken care of upon arrival. Comfortable room, looks newly renovated, friendly and efficient staff. 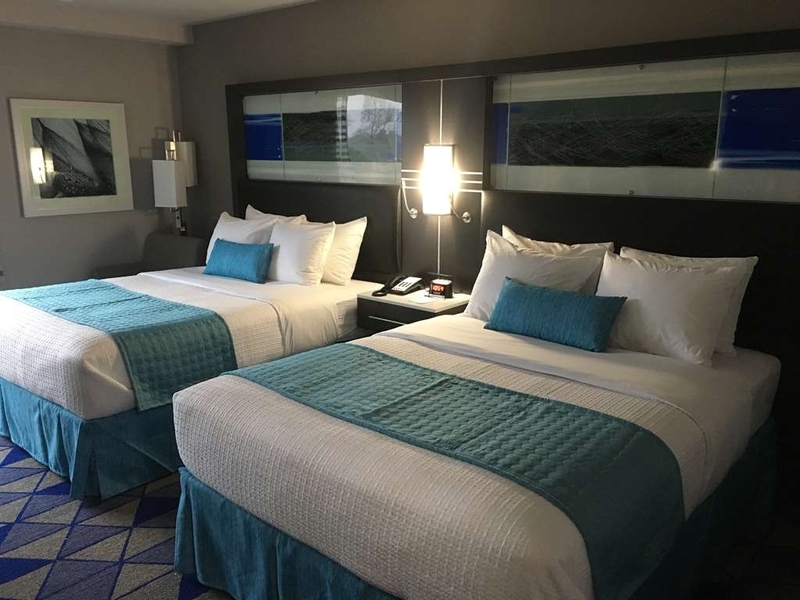 Good value for comfortable lodging. I would definitely stay again. The walk in shower had great water pressure. The breakfast included scrambled eggs and even had salsa and cheese for toppings. The room was clean and the bed was comfortable. I was glad you could set the fan on continuous. "Hotel was nice however extremely noisy the night we were there"
We were in room 207 which is next to the mechanical room of the elevators - extremely noisy. It was a Friday night and in addition to the elevator noise there was a wedding party and a large group of young men (maybe 12-15 yrs old) there having a swim meet early Saturday morning. I would recommend the hotel providing you did not get the elevator room. I would recommend this hotel to everyone. It has been newly renovated and the staff is amazing! Breakfast was great and the rates were very reasonable. everyone was so accommodating and nice. I will definitely stay there again it was perfect for my son and I. A fairly new building, so was supprised that it was not more soundproof. Our room was right over the breakfast room so about 6:30 am guests started dragging chairs over the tile floors. No more sleep for us! Other guests were heard complaining, while in the breakfst room, that they had been awakened by the ice machine and elevator. I've been in hotels that are vertually soundproof, so I know it's possible. The bed was comfortable enough. The internet worked well. It sits just off an I-85 exit, so is convienient. Hot breakfast was as expected for budget hotels, but one day was efficiently kept well stocked while the next day was less than half stocked only half way throught the breakfast time. It would be a good clean place for one or two nights, but the cramped rooms won't feel comfortable for longer than that. The person working the front desk at night and on the weekend was high everytime we had a question. He had his friends there and was often outside smoking. The safety of those staying at the hotel were in his hands and this is something that would make me not want to stay their again. The room and breakfast were excellent. Greetings, and thank you for taking the time to leave us a review. We're very glad you liked the room and breakfast, that's always great to hear. We do apologize about your experience with the staff and that has been addressed! In spite of the fact that this hotel is off the major highway a bit, it was well worth the few miles to stay there. 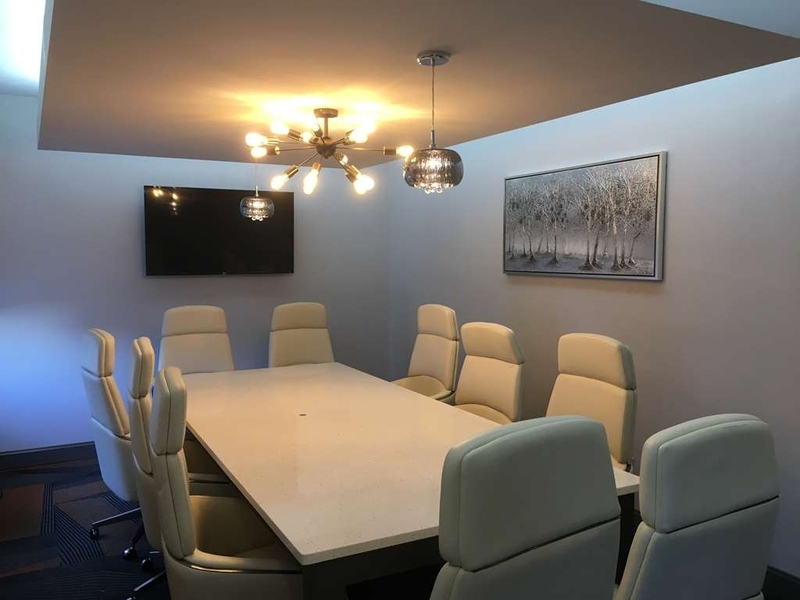 It is newly renovated, high end finishes, super staff! Favorite thing was the soap dish provided for the little bar of hand soap that otherwise gets mushy and slides all over the vanity top. "Newly renovated and comfortable "
Other than having a little trouble getting to the hotel because of road construction, our stay was wonderful. The newly renovated property appears to be in a relatively remote area, but we found out that we were within a few hundred yards of a shopping area. The room was great, with new towels. Breakfast included eggs and sausage in addition to the usual carbs one expects with these hotels. It is right next to the interstate, and there was a noticeable level of traffic noise. There must be a downhill grade, because the noise from truck engine brakes was noticeable. The price was very reasonable, especially for a Best Western, which I find to often be at the higher end of comparable hotels. I have had very bad experiences with West Westerns in the past, however this one was right up there with the HIlton and Marriott brands. It truly made a customer out of me. As a travel agent I now feel comfortable placing clients in the Best Western PLUS locations. However, I am Still staying away from the regular Best Westerns hotels for now. "Amazing People made our stay wonderful!" This stay was terrific. 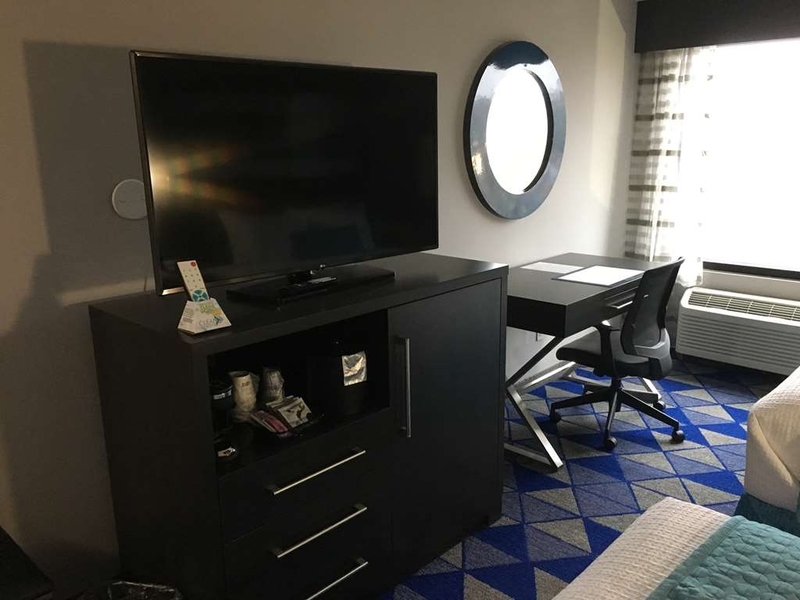 The rooms were clean, modern and comfortable, the location - while a bit off the beaten path - was close enough to drive everywhere - located near the freeway. The breakfast was plentiful, well stocked and clean as well! But the best part was the staff. When we arrived, there was an issue with our reservation, during a time when they were sold out. General Manager, Derrick Norris, leaped into action and was our hero - I had a large group - and he was able to make it work! He and Marcus really went out of their way to accommodate we weary travelers. Then later in the week, Jennifer helped us with the use of extra facilities (the board room) when we needed a larger space to work. Each day they asked us how things were going and we really felt like guests at their home. Thank you Marcus, Jennifer, Derrick and all the staff for a terrific stay. From the time we arrived we felt welcome. No one disturbed us and everyone was nice and welcomed us in like they already knew who we were. That morning the staff greeted us and asked us how was our night. I really enjoyed my stay. 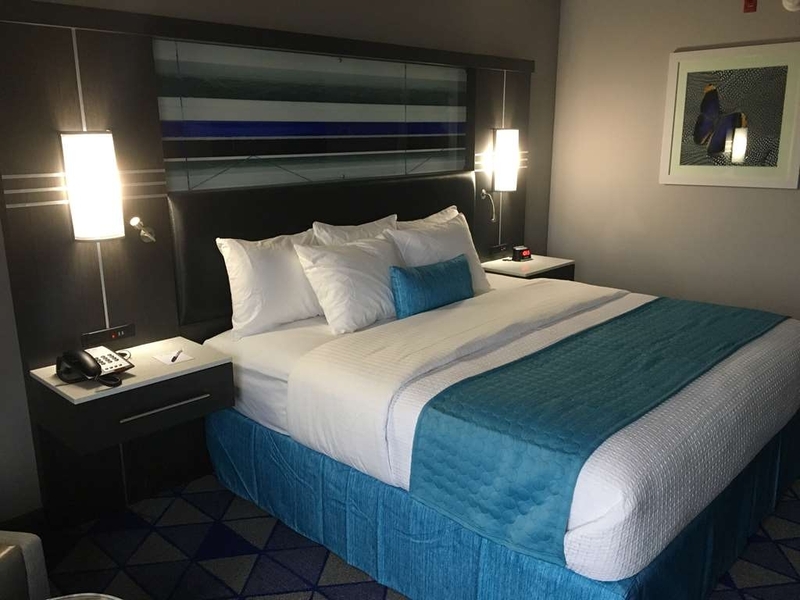 "New hotel that is a pretty good value"
I usually stay at a Marriott or Hilton branded hotel for work, so this is my first time staying at a Best Western in the US. I thought the hotel was pretty on par with a Hampton Inn, bed was comfortable and everything was brand new. It's a really good value for the money. Two-night stay. Hotel was convenient off I-85 in a safe area. Rooms were nice and clean. Beds were very comfortable. Will stay again when in the area. Rooms are small, but for the amount of time we spend in the room, it's fine. Only negative is the crummy LCD lighting and food ran out at breakfast. "In town for a wedding"
This is a newly renovated property and very clean. Customer Service was great and the room on the third floor was wonderful. It is located near the interstate, however, never heard any traffic noise. The hotel breakfast was good and this serving area was very clean. Highly recommend this property. Everything. 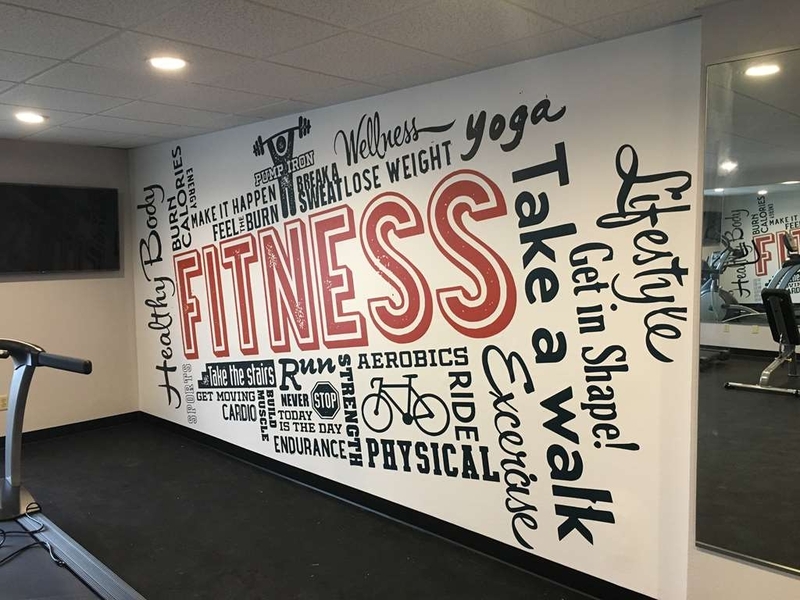 Brand new facility that goes out of its way to do everything right. Attention to detail in all aspects of the hotel facilities, staff and service. You will be comfortable and well cared for. Highly recommended. "Economical - Would Stay Here Again"
We had a quiet room on the second floor. Two elevators for the six floor building but we did not have to wait for one. Two luggage dollies at the front desk. Two queen beds in our room. Room seemed to be recently redone. Slight odor that we could not place. Lots of parking and well-lit parking lot. Average breakfast. Sink was outside the bathroom which can be handy. Iron and ironing board, hangers in the closet. Air conditioning unit has digital controls mounted on the wall. Work desk. A lot packed into a cozy room. Great internet. Did not turn on the TV. "Really wanted to like it"
I've had very good luck with Best Western Plus properties over the past few years. This one wasn't quite as good as the others I've experienced. On the plus side, I liked the bed, the solid wi-fi, and the fact that the laundry happened to be on my floor (6th). Nice big HD TV with plenty of channels. Location worked out for me, too. However, it was kind of off-putting to see several pieces of hair on the shower floor and in the sink. (I don't feel it's possible to pick up every single piece of hair that a previous guest might shed, but these examples were pretty egregious.) The AC unit made a series of noises at the end of every cooling cycle that sounded like a grinding motor. But, if you turn off the AC, then your ears are pounded with the noise of big rigs rumbling down the interstate all day and all night (assuming you've got a room on the interstate side, like I did). The breakfast was meh, definitely not up to what I've had on recent BW stays. The price was definitely right, but I would not stay here again when visiting Spartanburg. "Great last minute choice for me didn't have a reservation "
Stayed here on a last minute decision while visiting a friend in Boiling Springs. 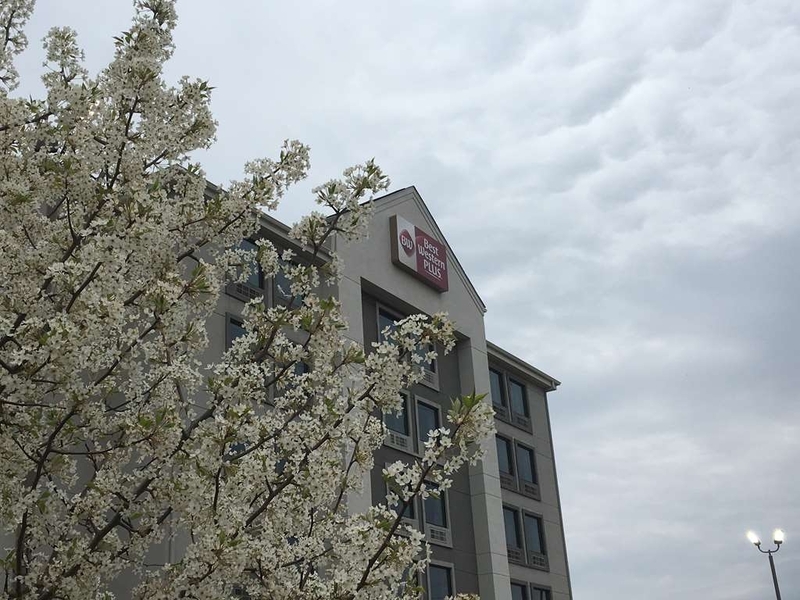 Hotel is located by the interstate and near a lot of restaurants. The breakfast was really good and the hotel is priced well. My room was very clean and the hotel was very quite. I'd stayed here again if in the area. One negative is when I got there after 11, there was no parking and had to park at the Denny's next door due to the trucks with trailers. It appears that the New and Improved Best western system is really working well. Updated rooms much better customer service. In the case of Spartenburg SC getting there is a bit tricky to say the least. Road work on I 85 and I 40 really hurts this modern facility. Price and pictures looked good when I was booking this hotel, but was surprised when I arrived. Checked into the first room and there was nasty stuff all over the floor along with a left over French fry. Went and told staff and was put into another room that appeared a little cleaner. While walking in the halls and elevator it appeared that their vacuum had broken years ago as they were nasty. I'm not sure if they had ever been vacuumed as the build up was ankle deep. This is a nice new hotel with one exception. It needs some major cleaning. The first room we checked into had disgusting carpets that were not vacuumed. There were pieces of French fries all over the floors. I'm not sure how they could have missed it. So got another room that was vacuumed but bathrooms not swept. As I looked around the public areas of the hotel I saw that apparently they don't sweep or vacuum the entire hotel. This could be a nice place if they cared anything about cleanliness. "Very nice place with very nice price"
We decided to stop for the night on the way to Myrtle Beach, so we needed a cheap room. All the hotels had good prices so I took a chance. This place looks pretty new. Very clean. I wish my other stays were like this, but not so lucky. The breakfast was ok. I like bacon and they only had sausage. The waffles were good and they had a decent selection of yogurt and other stuff. The bad: Pool was small and basically a hole in the ground. It's not far from everything, but its the only thing there. A few decent restaurants up the street, so not too bad. We stayed here 4 years ago when it was America's Best Value Inn. We were iffy about staying since it changed but it was awesome!! The hot breakfast was good!! Kailey was awesome!! The staff was very nice!! We have 2 complaints!! They only have 2 elevators and one was broke so you had to wait forever!! The pool was dirty like the filter wasn't on. Service was amazing. Rooms remodeled and gorgeous. Pool area very relaxing. Breakfast was delicious. Beds were very comfortable. Bathroom were spacious with a walk-in shower. Staff was pleasant and attentive. first time using the best western chain. very pleased with stay. a few hiccups that can be overlooked (lost power for a few hours and one working elevator). newly refurbished and looked great. fridge was cold, air was cold, bed was comfy. passed the 3 main tests for me. breakfest room is a bit small, large groups had trouble finding seating. overall great stay and will more than likely stay again next year. Highly recommend this hotel. Once the highway opens, this will be a great stay for anyone passing needing a place to rest. People were friendly, accommodations amazing. If we need to find s place to stay when visiting family, we will definitely look to book a room here, as long as their prices don't increase. "Great stay for my stay in Spartanburg...few mishaps!" Overall, was pleased with my stay at the Best Western Plus. Location to my family house and GHS Medical hospital was perfect. We were coming to Spartanburg for my cousin's funeral and I have another cousin who was in the It is also located within minutes from I85 interstate. Breakfast was included. Coffee was very delicious. 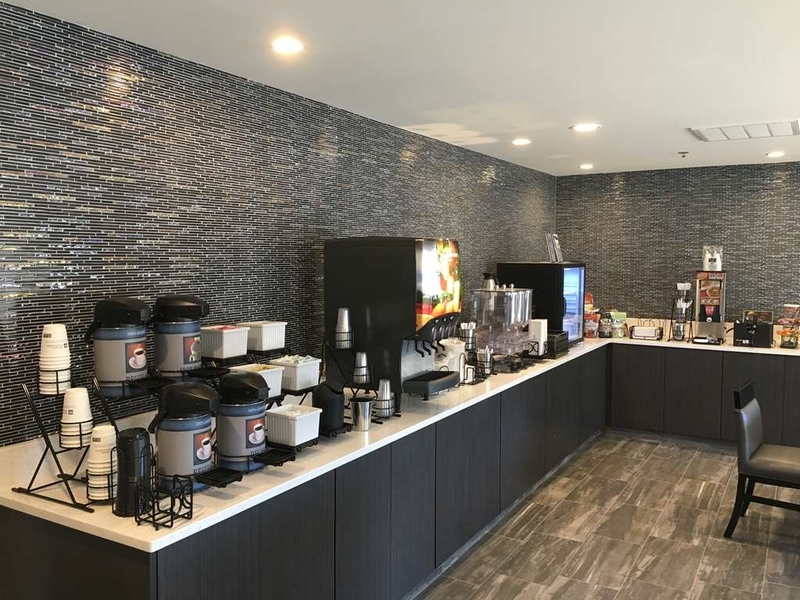 They have the typical hotel breakfast which is big savings such as eggs, sausage, bagels, toast, boiled eggs, cereal, fruit, etc. Good thing for the room: queen size beds and pillows were very comfortable. The room size is a bit tight but doable. The room included a microwave and refrigerator which is good to have. Some of the not so good things: upon check in, we noticed our room was not cleaned thoroughly. There was coffee stains on tile floor near sink, rug was not vacuumed, we noticed hair & dust along the baseboard of bathroom and the foyer into the room. Called to the front desk and Katrina immediately placed us into another room. This room was much cleaner. "Wonderful hotel!! I would stay here again." 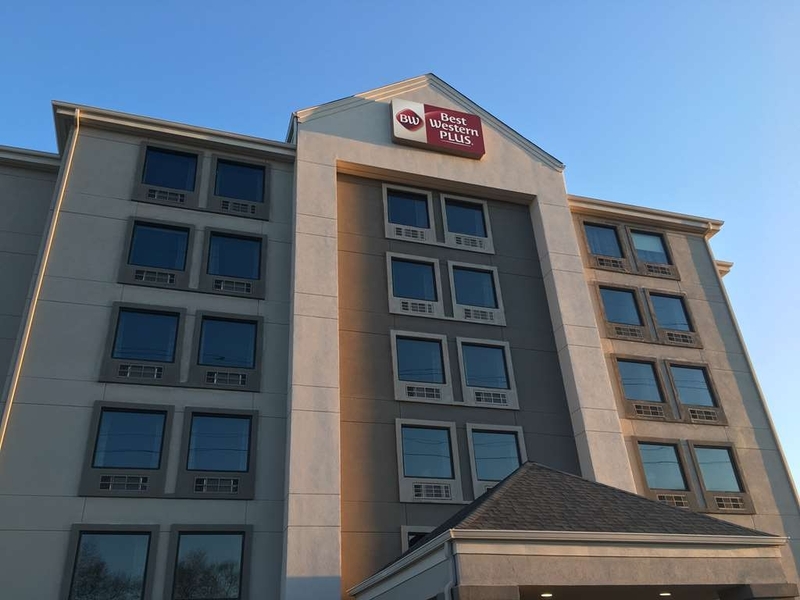 My wife and I loved our stay at the Best Western Plus in Spartanburg. The staff were very welcoming and fast in the lobby. The room is still very new from the remodel, and looks very well taken care of. I loved the room and the shower especially. The bed was very comfortable and my wife loved the illuminated mirror that she used to get ready. The continental breakfast was wonderful with eggs, sausage, toast, cereal, waffles, various juices, and more. All in all great value and a great location. I also asked for a top floor and they put us on a top floor. The halls were quiet and the view was nice outside. If back in Spartanburg, I will be back! 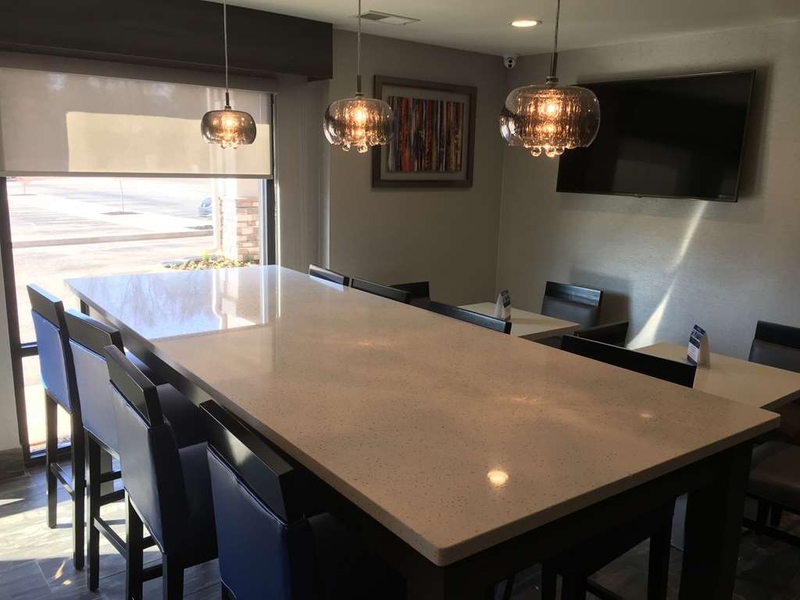 "Renovated and Great Place to Stay"
I was pleased with a different Best Western Plus I stayed at and it had me searching for others whenever I travel. This has been newly remodeled and has a great feel. Breakfast is above par, but can get very busy at peak times. They had eggs and one breakfast meat (sausage) the time I went. The typical yogurt, carbs and waffles and juices. 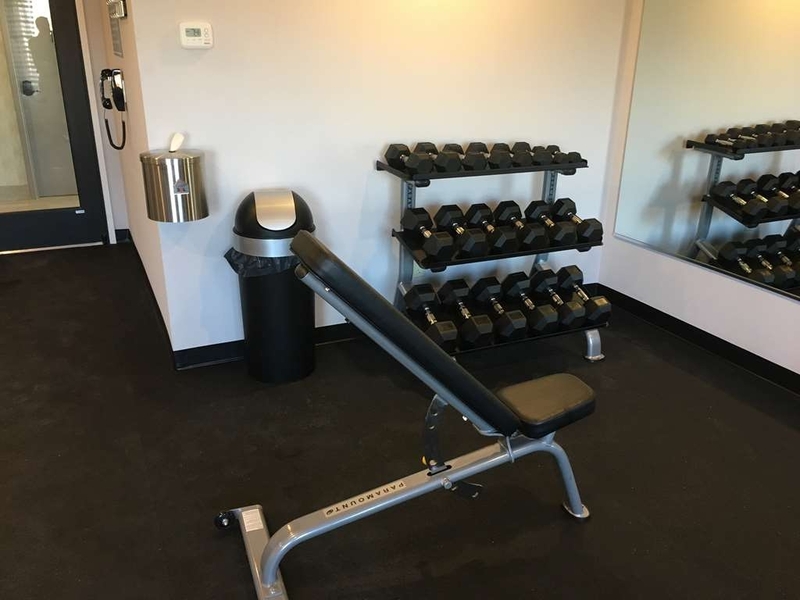 Fitness Center was above average which had dumbbells and fitness machines...not just an elliptical and treadmill like some other places. The room was very clean and came with a fridge and microwave. The beds were very comfortable and had many outlets and USB ports to use. It's right off of the interstate and there are many food/restaurant options within a 5 minute radius. 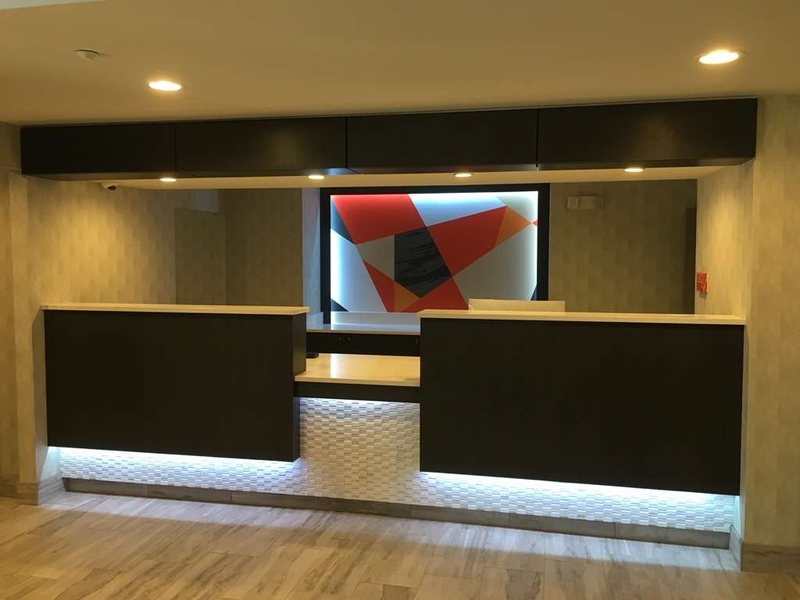 Very clean, newly remodeled hotel. Staff was very pleasant and rooms were very nice. Great breakfast. I would stay at this hotel on my visit to family again. Very reasonable rate is one of the reasons We picked this hotel. The hotel had recently been renovated and was very well done. The beds were comfortable, rooms, halls and lobby were extremely clean. Breakfast was good, and all the staff were helpful and accomodating. For lunch or dinner, there is a newly renovated Denny's next door. Travelers on I-85 northbound should be aware that there are detours on that section of I-85. "Great hotel for the price"
This hotel is a great place to stay. It's very clean and updated. The beds were so comfortable. It's located just off of the interstate so it was very convenient. The staff was wonderful. The breakfast had as many choices as anyone could ask for. I highly recommend it. "A blessing after a long drive!" We stopped here after driving in from Orlando and the beds were comfortable, the rooms were clean and great water pressure in the shower. Complimentary breakfast was delicious and everyone was very nice at the front desk. Would highly recommend if you're in the area! I had a great stay at this hotel. It was very nicely remodeled. My room was clean and comfortable. Staff is very friendly. The hotel was very quiet. I was traveling alone and felt very safe in the area. Easy on and off 85 or at least will be once the construction is done. Wow its awesome to stay in a great place for such a low price. Hotel is new and is very well taken care of, and the staff is very kind! Wish i would have had the same luck picking such a nice place on the way home, lol. Just off the interstate and many places to eat nearby. I'm sorry to say that this place is a DUMP. I made the mistake of going for a cheap rate and it almost ruined my trip. I should have recognized it when I entered the dirty elevator...but the rate was SO CHEAP. I should have suspected when I left the elevator and saw the very stained carpets or the dirty door to my room...but the rate was SO CHEAP! The room seemed OK, bathroom clean, bedding smelled freshly laundered, so I felt a little better. But that was not to be. I felt a little uncomfortable, hard mattress and small pillows, but you get what you pay for. Then came the bites - BUG BITES. I started itching about 2AM, At 3AM I got up and looked in the mirror...BUG BITES!!!!!!! Say no more, i packed up and checked out. I was saved by the Spartanburg Marriott. Check out that review and NEVER, EVER FALL FOR ANOTHER SUPER CHEAP RATE. Greetings and thank you so much for staying with us! We are in the midst of a major renovation as you probably noticed and everything will be brand new in the following months! We can't wait for you to see it again! Thanks for your feedback as we continue to improve everything about our hotel!! "OK for the current price, but has some issues"
I've stayed at this hotel multiple times over 7-8 years, and thought I'd posted an earlier review? It used be in a Best Western, but has been a ABVI for a while. It's an OK deal at the current 'bargain' price, but, be aware, it's a bit beat up, and some renovation is in progress. When I stayed here before, it seemed they catered to some large tour groups, some of which were kind of rowdy. That said, I never had a problem. It's a little isolated, but a Dennys is next door, and other food is within a half mile or so. I just have to say how wonderful and friendly the staff here were. Everyone from the front desk to housekeeping were so friendly and helpful during my stay. Since the last time I was here they have made some nice changes, like flat screen televisions and new bedding. Keep up the great work, I can't wait to stay again and see what other changes are coming. Greetings - thank you so much for your kind review! We can't wait for you to come back and experience all the great renovations currently in progress! We wish you safe travels in the future and look forward to welcoming you back to our hotel! "Great stop on our trip"
We were on our way to Atlanta from NC and stopped off at this hotel for an overnight rest. The staff was extremely pleasant. We could tell some work is being done and the staff told us the hotel had been sold and the new owners are making quick and great improvements. We enjoyed our stay and have no complaints. The breakfast was a nice extra but the staff service goes a long way!